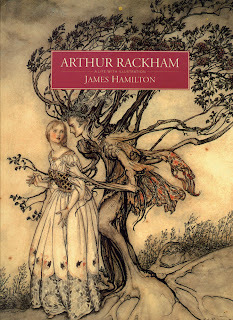 Woohoo, I finally found the book on Rackham I mentioned earlier! Actually it’s the English version, and the title doesn’t mention any “enchanter”, but it’s all the same! Super, alors c’est officialement genial n’est-ce pas: j’ai trouve le bouquin en question! C’est la version anglaise avec un titre un peu different, mais c’est le meme! One glance through those pages and the source of inspiration of so many artists becomes so apparent (Brian Froud, Alan Lee, John Howe…etc…).